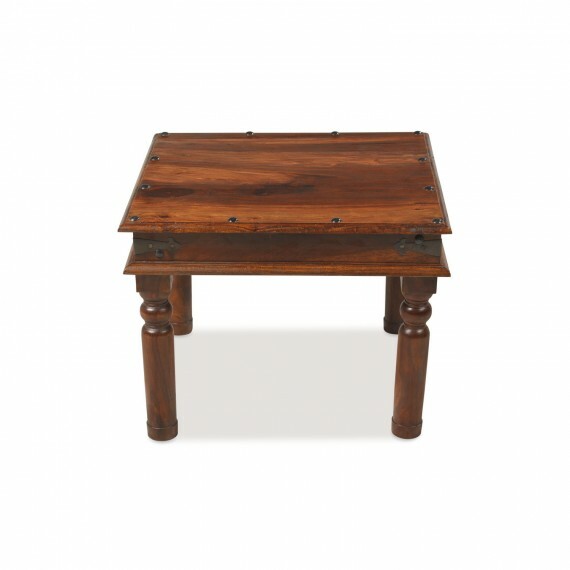 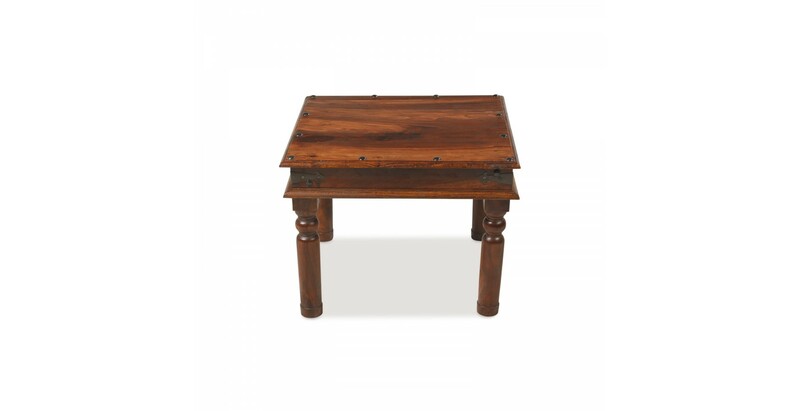 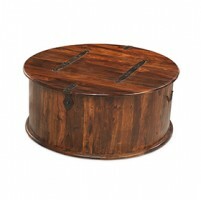 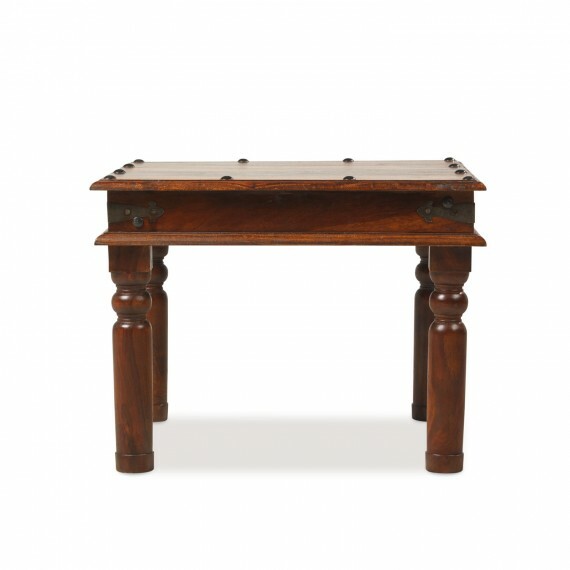 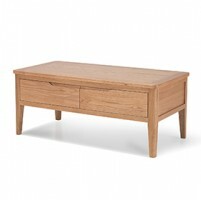 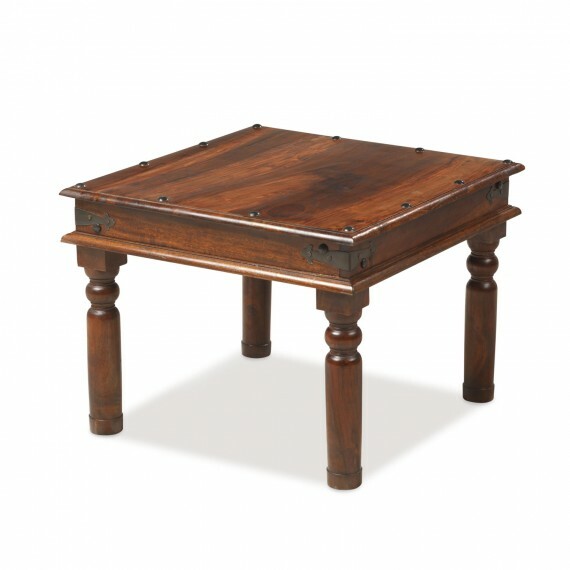 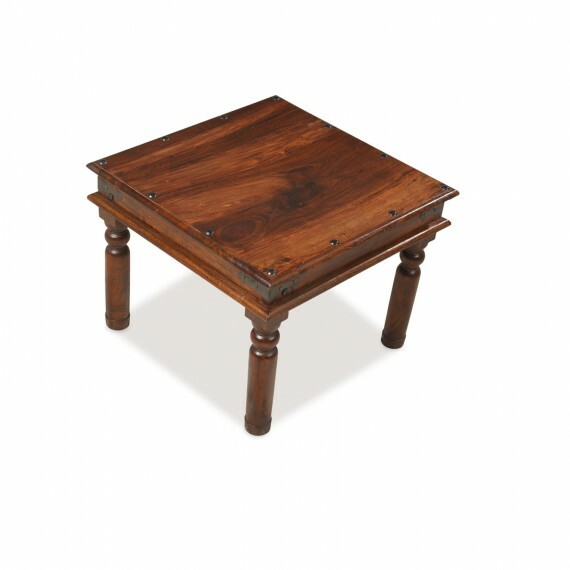 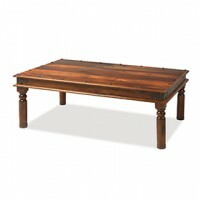 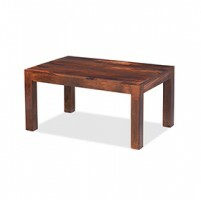 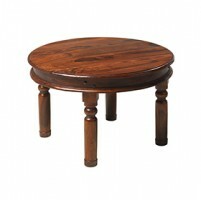 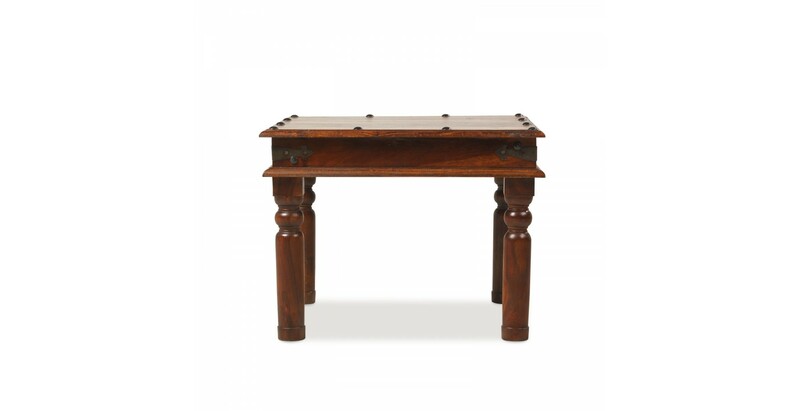 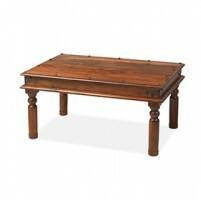 With its eye-catching black iron corner brackets and studding, exquisitely turned legs and exotic dark finish, this relatively compact square coffee table will add a hint of colonial-inspired style to your living room. 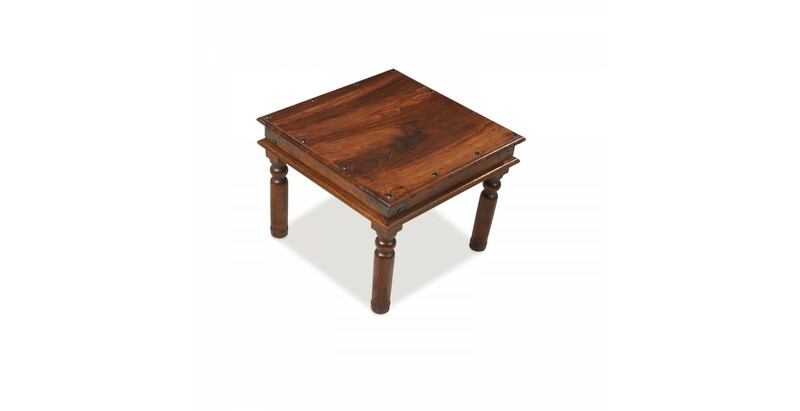 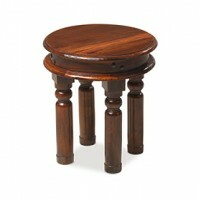 Crafted by hand from Indian sheesham wood and finished with a grain-enhancing wax lacquer, it will be ideal for setting down drinks and snacks or keeping your remote control to hand when you're watching TV. 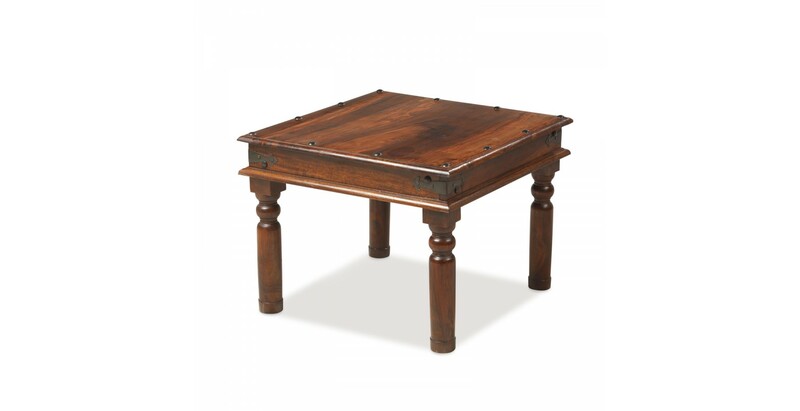 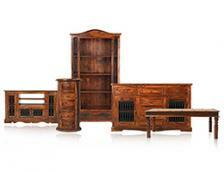 Ideal for both classic and contemporary decors, team it up with other items from the Jali Sheesham range to create an overall look.